A few months ago, when I was totally overwhelmed by the number of fantastic songs being released, I slipped the song Sorry by The Rose into a post with a million other songs. That was a terrible injustice. I went on to listen to that song on single track repeat for days and have watched the video an unhealthy amount of times since then…including the last two Friday nights during girls night AND Stephanie’s Topsu Party. I’m sorry, The Rose, it was my fault for not giving you the spotlight you so obviously deserve. I’ll try to make it up to you now. The group is a four-piece rock band heavily influenced by British music. They’ve been active as a band for some time, mostly busking on the streets of Seoul, but made their official debut in August 2017. All four members compose music and play instruments. 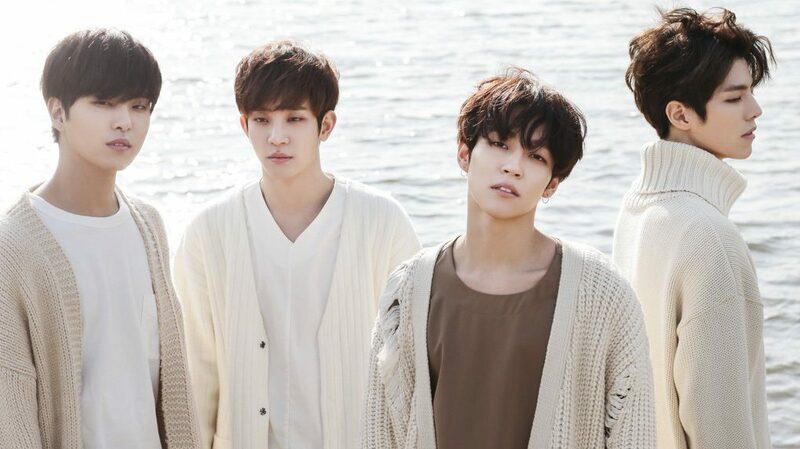 Three of the members, Dojoon (Leo – he lived in New Zealand growing up), Hajoon, and Jaehyeong, were in a band prior to The Rose and added Woosung (Sammy – he’s from LA) a little later. A couple of the members are former trainees but seem to have gone this more western direction in their musical careers to have a little more control and freedom over what they release. I follow the group on Facebook and they post a lot of interviews, clips, and funny little interactions between themselves, with interviewers and at events. They are delightful. The interplay you see between them in their newly released video for Like We Used To seems to be exactly how they work and play together in real life, right down to the terrible ‘high tens’ and Dojoon pulling pranks and laughing so hard in the other members’ faces they look slightly annoyed and then completely won over. I think I’m falling a little bit in love with the group, their awesome music and clever use of social media. I am so easily won over. There’s a fart joke in the end credits of the video. Fart Jokes. Yeah, it’s love. I always appreciate being introduced to new music. Thank you again!! !